This page provides a listing of public reviews regarding Manitoba's parks and protected areas. These may concern decisions for new protected areas, renewal of interim protection, or the steps in park management planning. In Manitoba protected areas are protected by regulation from: logging, mining, hydroelectric, oil and gas development as well as other activities that could significantly and adversely affect natural habitat. A protected area may be designated under any of several laws in Manitoba. Manitoba is conducting a public review of 6 new ecological reserves. These include Woodridge Ecological Reserve (515 hectares), St. Labre Bog Ecological Reserve (3,840 hectares), St. Anne Bog Ecological Reserve (415 hectares), Piney Ecological Reserve (780 hectares); Lewis Bog Ecological Reserve expansion (4,670 hectares); Cedar Bog Ecological Reserve in the Sandilands Provincial Forest (105 hectares). Each potential ecological reserve has unique, diverse, and endangered species located insides the proposed boundaries. These ecological reserve sites appear to be surrounded by quarry leases and withdrawals. Lewis Bog and St. Labre Bog are have the greatest likelihood of sustaining their habitat and species over time. The Conservation department has explicit protection standards for the ecological reserves in their public material. Exploring or harvesting for peat is added to the language as an excluded activity. Unfortunately the text used is the protection standard for a protected area in Manitoba, not just for ecological reserves. There is also a proposal for Pelican Islands park reserve to become an ecological reserve. The ecological reserves review ends March 8, 2015. The province wishes to add 93 hectares to Moose Lake Provincial Park. The uses will be recreational, as the land use classification requires. These hectares are not protected land. The reviews above end March 8, 2015. Kinwow Bay and Sturgeon Bay park reserves, both located in the north Interlake, are to move to permanent park status. They were established in 2001, with their regulation being renewed every 5 years since. Kinwow park reserve, at 8,400 hectares, and Sturgeon park reserve, at 14,490 hectares, are both significantly smaller than the original nominated lands and waters. Both were supported for larger size by the Mining and Forestry Industries. Both were the result of a First Nation nomination for protected lands and waters. Review for these two ends April 1, 2015. Three island parks in Lake Winnipegosis will move from park reserve to permanent park status after these reviews. Goose Islands, Grand Island, and Pemmican Island. These also have been protected since 2001, and are known for colonial bird species habitat. Grand Island is remaining 1,035 hectares of the original home for Chemawawin First Nation, prior to hydro development flooding of Cedar Lake. The First Nation confirmed establishment of the park reserve in 2001. To date there is no specific information as to which lands in the three million hectare designation would be protected from development. Manitoba Hydro dams, a railway system, town sites, roads and various corridors already exist within the planning boundaries. The October 28 letter refers to ‘legal protection for specific areas.’ Manitoba CWS’s own ecological methods verify that isolated protected areas are not sustainable and can actually put species and ecosystems at risk if ecological standards regarding representation and size are not upheld. A set of maps are available now online and by requesting a CD. Results of Phase One park planning are also available. January 31, 2014 is the deadline for comments about Phase Two of planning. This phase is intended to guide ‘environmental zoning.’ The Manitoba Parks Act requires designation by kind of park, and has a series of land use classifications for zoning inside a designation under the Parks Act. 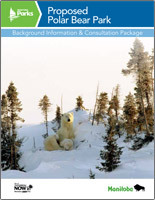 The Polar Bear Park brochure indicates there are 19 zones identified. There is no public registry system or posting of comments for public access in this planning process. Recently Cabinet signed a regulation adding a new type of park to our system in Manitoba. It appears to be for tribal parks. There was no consultation on this change to the Parks Act either. The park planning brochure states: “The Manitoba government is consulting with First Nations, the Town of Churchill, local industry, tourism operators and others about the establishment of the park.” To date Manitoba Wildlands has not heard of any First Nation consultations being held with the several affected First Nations. We assume that Manitoba government guidelines for Aboriginal consultations, and capacity provided through the fund for Aboriginal consultations would be in place for such consultations. Potentially then the Manitoba government has moved from Phase One to Phase Two of park planning for 3 million hectares without Aboriginal consultations. Currently Manitoba is far behind in its commitments to represent each natural region with sustainable and permanent protected areas, which can be designated under different laws or Acts. All protected areas include protection of the land under one Act, and removal of crown mineral rights under the Mines Act. Manitoba Parks still have resource management, recreation management and access zones, which are not protected lands. Recently Chitek Lake Park was made permanent, after being protected for 15 years. This kind of step does not actually increase the protected lands in Manitoba. Manitoba Wildlands filed review comments based on the ‘consultation package’ for designation of this 3,000,000 hectare park west and south of Hudson Bay. The materials provided more questions than answers. No pubic registry is set up to receive and locate comments from the ‘consultation’. Information to our offices indicates that no meaningful consultation with community capacity provided are occurring with the affected First Nations. Also serious is the apparent lack of ecological and scientific context for establishment of the park. Manitoba’s natural region, and landscape unit system for establishment and sustainability of new parks and protected areas is absent from the materials. Even the species basis for park establishment - which is important and essential - appear to lack conservation biology understanding. It is unclear what Manitoba Conservation is doing. Perhaps a huge multi use area with mining, hydro development, communities, tourism, and some areas for certain endangered species. In March 2013 Manitoba Conservation advised stakeholders that Manigotagan River Park, and Nopiming Park would be undergoing a two year process to put management plans in place. The two parks are connected. The department is putting together a list of those interested in this planning process, and affected by the Park's operation. "The process will include opportunities for the public to provide input to the future of Nopiming and Manigotagan River Provincial Parks. Public drop-ins to gather general information and identify concerns are the first stage of this process." Nopiming Wilderness Park is located where 4 biomes meet, and is home to an extraordinary range of biodiversity. It is among the parks in Manitoba where the Manitoba government banned logging. The zones where logging occurred are still open to development, and have not seen restoration or protection decisions since logging was banned. Both parks are within First Nation traditional territories and located on the east side of Lake Winnipeg, in a boreal forest region. Manitoba Conservation usually indicated in management plans that Treaty and Aboriginal rights will be respected in the management of the plan. 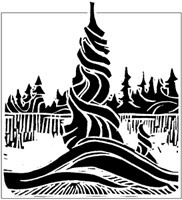 Manitoba Conservation has posted draft management plans for several parks, with a deadline of September 1, 2014 for public comments. The management plans are for Caribou River, Colvin, Lake Nueltin, Lake Numaykoos, and Sand Lake parks. All of these provincial parks are in the most northern region of Manitoba, with Caribou River Wilderness Park, Colvin and Neultin being located just below sixty degrees, in the tundra region of Manitoba. These parks were designated as protected areas in the park system for Manitoba between 1995, and recent years. They are protected areas except for a few roads and lodge locations. The draft management plans are located at http://www.gov.mb.ca/conservation/parks/consult/index.html. Information about the designation of these and other parks and protected areas in Manitoba can be tracked through the Manitoba Wildlands protected areas audit chart, posted here http://manitobawildlands.org/pa_grades.htm. Each of these parks, and protected areas are located in Aboriginal traditional territories. The draft management plan for each indicates that the "rights of Aboriginal peoples to pursue traditional uses and activities are acknowledged and respected within the context of this draft management plan." The Manitoba government is well into its planning steps for a huge new protected area around Hudson Bay. The park would surround Wapusk National Park, cross the Nelson River, and extend to the Ontario border. The potential size of the park is up to two million hectares, though it is unknown what portion of those lands would be protected. Manitoba Hydro installations, a future generation station, and new converter station are within the suggested boundaries. Also the Churchill Rail Line, which is being touted to carry Bakken fields and other new oil sands products to Churchill for shipment by sea, is within the suggested boundary. 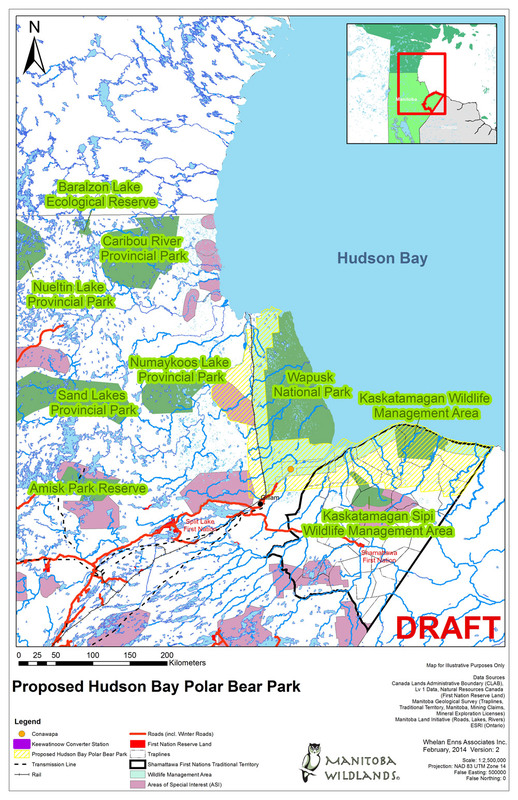 Recent new wildlife management areas, protected through a regulation for no mining, hydro development, oil and gas, or forestry situated below Hudsons Bay are located within the planning boundaries. Also the remainder of the Churchill Wildlife Management Area surrounding Wapusk, and parts of the south shores of Hudsons Bay are within the planning boundaries. Several listed and endangered species are resident and polar bear denning sites are included in the planning boundaries. A November 2013 press release, following the Speech from the Throne in the Manitoba Legislature, referenced the intended park. To date there is no evidence of the steps for public consultation required under the Parks Act. Up to six Manitoba First Nations are potentially affected by the proposed park. Metis communities are also potentially affected. Consultations with these Aboriginal communities through the province's Aboriginal Consultation Program are expected to start soon. Four of these First Nations are partners with Manitoba Hydrdo, in the Keeyask Generation Station project. Three of those are also signatories to the modern day treaty, The Northern Flood Agreement, and subsequent agreements. There are Resource Management Areas for two First Nations under this treaty within the planning boundaries for the park. Another First Nation has several trap lines inside the boundaries. Several river fjords along the west wall of Hudson Bay above Churchill are candidate areas for protection from Manitoba's designers in Manitoba Conservation. These have also been signed off for protected status by Manitoba's minerals sector. Manitoba Wildlands is providing maps to help understand the potential lands and waters involved. "Public consultation, and meaningful steps with Aboriginal communities are required for decision making and designation of lands and waters. Protection standards in Manitoba are based on 20 years of regulatory language that is quite explicit. Zoning under the Parks Act can also occur, where lands are not protected. Manitoba Conservation will need to provide their scientific analysis, combined with traditional knowledge, as part of planning and consultation," commented Gaile Whelan Enns, director of Manitoba Wildlands. The Government of Manitoba is currently considering a five-year renewal for six park reserves, along with facility improvements at St. Malo Provincial Park according to two ads placed in the Winnipeg Free Press on November 5th, 2011. Goose Islands Park Reserve (145 hectares (ha)), Grand Island Park Reserve (1,035 ha), and Pemmican Island Parks Reserve (22 ha) are all located in Lake Winnipegosis approximately 175 kilometres north of Dauphin, Manitoba. Kinwow Bay Park Reserve (8,400 ha), Sturgeon Bay Park Reserve (14,490 ha), and Pelican Islands Park Reserve (130 ha) are located along the western shore of Lake Winnipeg approximately 225 kilometres north of Winnipeg, Manitoba. Manitoba's Parks Act, s. 9(1) requires public consultation for park reserves, and park reserve renewals. Comments must be received no later than November 21, 2011. Park reserve designation, which established the protected areas, provides interim protection while the decision for permanent designation and protection is made. If park reserve designation is renewed until 2016, this will be the third time that interim protection has been extended for an additional five-years for these six Park Reserves, which were initially established under Manitoba's Parks Act June 1, 2001. "More than 15 days should have been given to solicit public comments," said Manitoba Wildlands Director Gaile Whelan Enns. "After more than a decade of interim protection, and plans to increase interim protection to 15 years, Manitobans should be rightly asking if and when these protected areas will be permanent?" Meanwhile, St. Malo Provincial Park, a recreational park centred around the Rat River Dam reservoir located about 60 kilometres south of Winnipeg, is considering facility improvements and asking the public to share their concerns. The public can participate in the process through on online questionnaire available until November 14th, 2011 or by attending a 6:30pm November 17, 2011 community workshop at the Dufrost Community Hall, Dufrost, Manitoba. A provincial park management plan, as required by Manitoba's Parks Act, s. 11, has never been created for St. Malo Provincial Park. Public comments on Bloodvein River First Nation's proposed Pimitotah Management Plan are being requested. The proposed Pimitotah traditional planning area regulation describes boundaries of the proposed 3,482 square kilometre area and acknowledges the proposed management plan that would apply to the Pimitoah lands. In addition to establishing a new permanent protected area, the plan proposes community-resource and commercial-development zones. A public open-house about the proposed planning area regulation and management plan was held July 8th, 2011 in Winnipeg. The open-house revealed that additional changes to the original plan survey map will be made: additional sacred shoreline archeological sites areas on or near the shore are now identified for protection, and land use classification will be changed from commercial to local community resource use for another zone. The proposed Pimitotah traditional land-use area is the second First Nation lands plan to be reviewed by regulation under Manitoba's East Side Traditional Lands Planning and Special Protected Areas Act - the Poplar River First Nation Asatiwisipe Aki Management Plan was the first plan approved under the Act, in June 2011. Poplar River's and Bloodvein's protected traditional areas will be part of the UNESCO World Heritage Site bid that goes to Canada for review in 2011, to be formally submitted in 2012 to UNESCO. Five Ontario and Manitoba First Nations entered into an accord for the future of their neighbouring lands in 2002. The accord indicates that world heritage site listing would be investigated by the communities. More information, including comment sheets, can be found on Manitoba Conservation's website. The public has until August 23, 2011 to submit their comments. View Manitoba Conservation, Land Programs "Public Registry"
The Province of Manitoba is contributing $1.8 million to Tim Horton Children's Foundation (Foundation) to assist with construction of a road, telephone, and electrical services to the new youth leadership camp near Sylvia Lake in Whiteshell Provincial Park, Manitoba. In 2010 the foundation received $24 million in gross revenue, with a $2.5 million surplus. Foundation revenue is garnered primarily from donation boxes at Tim Hortons locations, and coffee sales revenues from Tim Hortons annual "Camp Day". The camp is expected to host 3,800 people annually, during peak season (June-September) most summer visitors will be leadership graduates from outside of Manitoba, with Manitoban groups having access in the winter. The Sylvia Lake camp in Manitoba will be the Foundation's seventh camp. Total cost of the Sylvia Lake camp is estimated to be $12 million. The Foundation presently has six other camps across North America. It is the Foundation's first camp inside a provincial park. The Whiteshell Provincial Park does not have a management plan as required under Manitoba's Provincial Parks Act. Initially the Foundation intended to construct a camp near Meditation Lake, also in Whiteshell Park, but changed locations to near Sylvia Lake following public outrage and concerns over water quality near Meditation Lake. The camp near Sylvia Lake received an environmental license May 19, 2011. Manitoba Wildlands, along with others, submitted comments during the licensing process in winter 2010. Construction is expected to begin in the spring of 2012 to open summer 2013. "Our province looks forward to a strong partnership with Tim Hortons to help deserving young people gain valuable life skills and leadership experience," said Manitoba Premier Greg Selinger. Wildlife Management Areas in Manitoba: Protected? The Manitoba Conservation "Protected Areas" website indicates: "[a]t a minimum, protected areas prohibit, through legal means, logging, mining (including aggregate extraction), and oil, petroleum, natural gas or hydro-electric development." WMAs are designated by regulation under the Wildlife Act. Some WMAs are adjacent to other protected areas. Originally none of Manitoba's WMAs were protected. Over about 5 years existing WMAs were reviewed to locate lands that were intact, and available for protected status. The "Protected Areas" website lists 52 wildlife management areas (WMAs) with "whole or partial protection", and claims "...the [WMA] system has grown to encompass almost 2 million hectares (5 million acres) of valuable wildlife habitat throughout the province. Still only around 1/4 of lands in the WMA system have protection. Three of the 52 WMAs currently listed on the "Protected Areas" page (Assiniboine Corridor Wildlife Management Area, Parkland Wildlife Management Area, and Whitewater Lake Wildlife Management Area) have areas that include petroleum extraction and exploration that do not meet the Department's own definition of a protected area. Many WMA units are quite small. In recent years new WMAs have been established without protected status. The two newest WMAs are Kaskatamagan WMA and Kaskatamagan Sipi. The Kaskatamagan WMA, announced in 2009, was an expansion and renaming of the former Cape Tatnum WMA. Although the total area of the WMA is now 561,964.08 ha, 300,925.99 ha, more than half the total area, remain lacks protection. There are also other large WMAs waiting for designation or permanent protection. Saskeram (95,453.26 Ha) and Tom Lamb (216,417.54 Ha) remain candidates for protection, despite being identified as candidates in 1963 and 1965 respectively. Saskeram and Tom Lamb (formerly Mawdesley) WMAs are located on opposite sides of Clearwater Lake Provincial Park near The Pas, Manitoba. View Manitoba Conservation, "Wildlife Management Areas"
Manitoba Conservation put this proposed protected area to public review mid 2010, with public comments closing in October 2010. Although based on Areas of Special Interest from several years ago designed by Manitoba Conservation, with Mineral Sector reviews at the time, information about the proposed protected area is sparse. Mapping provided on the department's web pages provides no indication of Areas of Special Interest involved, the natural region location, or landscape types to be included. The area includes Red Deer Lake, along the Saskatchewan border, south of The Pas. Requests from Manitoba Wildlands for technical information and improved mapping for this proposed protected area have gone unanswered. First Nations communities are affected by this potential protected area. The consultation standards in Manitoba's First Nation Protected Areas MOU may or may not be intact regarding this crown lands designation. There are also many drainage projects and alterations in the proposed area, due to flooding caused by hydro generation stations, in particular the Grand Rapids dam. The Kelsey municipality is undertaking restoration, through a mitigation reserve fund with Manitoba Hydro and Manitoba, along the South Saskatchewan River. Any future designation is likely to need a management plan that addresses restoration, and accurately identifies challenges and benefits. Important Bird Areas review has occurred, and the altered ecosystem provides nesting and habitat for many bird species. Overtime land species, large mammals, and ungulates have returned to the area. "Manitoba Wildlands expects clarity on the status of this proposed protected area. In the meantime changes in boundary, and alterations to the plan for the area may be occurring. Priorities set for protected areas decisions 4 years ago include the South Saskatchewan River Delta," stated Gaile Whelan Enns. Manitoba Conservation Minister Bill Blaikie has announced Meditation and Sylvia lakes in Whiteshell Provincial Park will be free from development. The two lakes were the focus of public reviews after the Tim Horton Foundation Youth Leadership Camp identified camp locations near the lakes. Meditation Lake and the surrounding area is popular sites for canoeing and fishing. It was subject to public review as a possible site for the Tim Horton's camp. The review process led the province to keep Meditation Lake as undeveloped backcountry, with a new option for Tim Horton's camp west of Sylvia Lake. The Tim Hortons camp at Sylvia Lake is expected to open in 2012. The lands adjacent to the Tim Hortons camp at Sylvia Lake, near Pinawa, Manitoba will not be developed or made accessible for new cottage development, states Blaikie. No licence has been issued yet for the camp at Sylvia Lake, based on the Manitoba Conservation online registry. "A land-use category change will be initiated in the near future," according to Blaikie. As of March 17, 2011 no regulatory changes for protect areas had been made, nor had the Whiteshell Provincial Park land use categories been updated under Manitoba's Parks Act. "We would like to see a public review and plans for the new no logging zones in provincial parks. To date they are not protected lands, and management plans are not in place. These steps would have averted the Tim Horton's complications," stated Gaile Whelan Enns, director of Manitoba Wildlands. January 2011 - Manitoba Wildlands provided comments on the Environmental Impact Assessment (EA) for the proposed Sylvia Lake Tim Horton Children's Foundation Camp inside Whiteshell Provincial Park. A Management Plan for Whiteshell Provincial Park should be completed before new developments are considered. Consultation standards and procedures are not clear, and the consultation undertaken with affected First Nations was inadequate. Environmental protection plans and Department of Fisheries and Oceans approval should be in the EA filed. Species analysis was not adequate. This was the second proposed camp location inside Whiteshell Park after public pressure and water quality issues forced Tim Horton's to rethink its earlier proposed location near Meditation Lake. As of December 11, 2010 regulations were not all in place for these two parks. A similar problem occurred in late 2009 concerning two new wildlife management areas, as protected lands designations. These were included in the 2009 protected areas grade. Each year Manitoba Wildlands writes the Minister responsible for protected areas establishment, alerting the minister and staff as to the timelines for the annual protected areas audit and grade. The November Throne Speech text references the land quantum protected by the Manitoba government in the last year. Two of the protected areas included in that land quantum were included in the 2009 Manitoba protected areas audit and grade, based on regulatory steps taking in 2009. 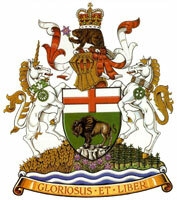 The November 16th 2010 Manitoba Throne Speech announced two new protected areas in the north east corner of the province. Neultin and Colvin parks are based on previous site design by Manitoba Conservation staff, and technical review with the Mining Association of Manitoba. Both candidate sites have been in the system for several years. As of November 30, 2010 regulatory steps to protect the two new parks are not complete, and surveys of the designations are not available. Lack of surveys and online mapping data leaves the size of these new parks unknown, as boundaries were adjusted a few times. No government press release, or website content exists for the parks announced November 16, 2010. "We are pleased to see the Selinger government taking steps to catch up on protected areas establishment in our boreal regions. It should be noted, though, these four new protected areas are all above the tree line. Commitments to establish new protected areas in boreal regions includes where there are forests! Action for an advisory committee regarding protection of northern peatlands and their carbon reservoirs is lagging. Information that used to be transparent regarding consultations before new protected areas are announced, is not available." commented Gaile Whelan Enns, director of Manitoba Wildlands. Manitoba Wildlands issues an annual protected areas audit and grade for government actions in our province, based on the calendar year. The same grading criteria and technical standards have been used for the Manitoba protected areas grade over the last two decades. Little Limestone Lake, the Earth's largest marl lake, is located near the northwest tip of lake Winnipeg 65 km north of Grand Rapids Manitoba off Provincial Highway 6. In July 2007 Manitoba designated 4,095 hectares encompassing the lake, the islands in the lake, and a 100-metre wide strip along the south, west, and northern shorelines as a park reserve. Park reserves provide interim protection while the designation is being considered for provincial park system. Manitoba Parks and Natural Areas solicited for public input between July 15 and August 31 2010. Manitoba Wildlands submitted comments on the proposed protected area designation highlighting the inadequacy of a 100 m buffer zone around the lake. Manitoba Wildlands questions consultation and public review standards. Also to date there is no classification in Manitoba's Parks Act for water. Manitoba Conservation is developing a long-term management plan for Birds Hill Provincial Park, a 3510 hectare preserve of aspen/oak parkland located less than 20 kilometres from Winnipeg. Home to over 40 mammal species, more than 200 bird species, six amphibian species, three fish species and two reptile species, Bird's Hill is also one the busiest provincial parks in Manitoba with approximately 800,000 visitors in 2009. Currently 59% of the park is protected for development. Public drop-ins were held in the summer of 2010 and the public had until August 31, 2010 to submit comment sheets regarding: protection of unique and rare species in the park, the growing number of visitors to the park and the conflicts this creates, and how much and what kind of development should be allowed in the park. A second public review period will be held in 2011 to review a draft management plan for the park. Manitoba Conservation is seeking public comments until September 30, 2010 about Birch Island park reserve, which has been protected since 2000, into a permanent designation as a provincial park. Birch Island Park Reserve is located on Lake Winnipegosis about 150 kilometres north of Dauphin. It includes Birch Island and a number of small islands, reefs and shoals. The area has a diverse mix of habitats, such as jack pine / black spruce ridges, mixedwood and black spruce muskeg. The small islands and reefs provide nesting habitat for many colonial nesting birds. Total park reserve area is 790 km2. Manitoba Conservation is seeking comments until September 30, 2010 about Fisher Bay park reserve, with an intention to extend the designation, and current land use classification until 2015. 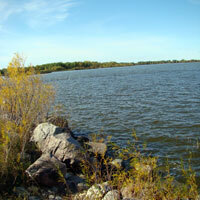 Fisher Bay Park Reserve is located on the west side of Lake Winnipeg about 200 kilometres north of Winnipeg. The park reserve is roughly 841 km2 in size, of which 61,000 ha (or 72%) is the water of Fisher Bay. The remaining 23,100 ha includes land adjacent to Fisher Bay and a number of larger islands, such as Moose, Little Moose and Tamarack Islands, smaller islands, shoals and reefs. The park reserve features treed shorelines, long sandy beaches, and islands of old-growth forest. It is home to wildlife such as bears, moose, fox, eagles and birds. From May 18, 2010 to June 25, 2010 Manitobans were able to comment on the Colvin Lake park designation. Located in an area known as the "Land of Little Sticks", the proposed Colvin Lake Park would cover 162,800 hectares of transition area between tundra and boreal forest running along the Saskatchewan border and close to Nunavut. Located in the traditional territories of Northlands Dene First Nation and Sayisi Dene, the protected park would provide habitat for tundra caribou, moose, black bear, wolverine, wolf, lynx, fox, river otter, weasel, mink, and habitat for migratory bird species, such as: loons, osprey, eagles, plovers, cranes and a variety of waterfowl. From May 18, 2010 to June 25, 2010 Manitobans were able to comment on the Nueltin Lake park designation. The proposed 447,000 hectares Nueltin Lake Park, is located in an area characterized by numerous eskers braiding across the landscape. Located in the traditional territories of Northlands Dene First Nation and Sayisi Dene, the park would provide habitat for tundra caribou, moose, black bear, wolverine, wolf, lynx, fox, river otter, weasel, mink, and habitat for migratory bird species, such as: loons, osprey, eagles, plovers, cranes and a variety of waterfowl. The Manitoba government is seeking public comments by June 25th, 2010 about two proposed parks in the north-western corner of the province. Located in an area known as the "Land of Little Sticks", the proposed Colvin Lake Park would cover 162,800 hectares of transition area between tundra and boreal forest running along the Saskatchewan border and close to Nunavut. The proposed 447,000 hectares Nueltin Lake Park, is located east of Colvin Lake, and the area is characterized by numerous eskers braiding across the landscape. The two proposed parks would provide habitat for many species including moose, black bear, wolverine, wolf, lynx, fox, river otter, weasel, mink, and habitat for migratory bird species, such as: loons, osprey, eagles, plovers, cranes and a variety of waterfowl. In addition, both proposed parks are located in the range area of the Beverly and Qamanirjuaq tundra caribou herds, and would lie within the traditional territories of Northlands Dene First Nation and Sayisi Dene. The Conservation Manitoba webpage indicates the Constitutional rights of aboriginal people to access these areas for hunting, trapping, fishing, and other traditional pursuits will be respected, but it remains unclear if adequate consultation has taken place with local aboriginal people regarding the proposed parks. Go to the Manitoba Conservation, Public Consultations webpage, for information on the proposals and how to file your own comments. Kevin Lamoureux, deputy leader of Manitoba Liberal Party, Gaile Whelan Enns, director of Manitoba Wildlands, the Wilderness Committee, and Sagkeeng First Nation say Manitoba Hydro and Manitoba Conservation are mishandling a project to insert a new 19 kilometer power line into Nopiming Provincial Park boreal forest. Manitoba Conservation and Manitoba Hydro ignored or circumvented requirements, and has failed to undertake consultations with Sagkeeng First Nation whose traditional lands include the proposed power corridor. Brush cutting for the corridor began December 4th despite written protests from the First Nation and local cottage owners opposed to the project. "This process should have been handled in full public view. The land in question is in a protected provincial park, is traditional First Nations land, and yet Manitoba Conservation let a small group of pro-Hydro cottage owners lead the project," stated Kevin Lamoureux. Whelan Enns called on Bill Blaikie, Manitoba's Conservation Minister, to remove the secrecy surrounding development decisions in provincial parks. "The new minister of conservation needs to return our parks system to consistent, fully public decision making. Secret developments in our parks must end." Manitoba Wildlands and the Wilderness Committee are sending their final appeals of the recent environment license to bisect Grass River Provincial Park with a logging road. The license was issued to Tolko Industries mere months after logging was supposedly banned in Grass River Park. Earlier formal appeals, filed in September, were denied by Conservation Minister Stan Struthers, without explanation. The two environmental organizations are appealing to Premier Selinger to review this decision, and decide whether a logging road is a logging development, and whether the woodland caribou in this park deserve protection. "Any reasonable person would expect a thoughtful citizen appeal to be responded to," said Eric Reder, Campaign Director for the Wilderness Committee. "Unfortunately, our Environment Act includes a ''weasel out'' clause, allowing our government to deny an appeal without explanation." "We would like to see our new premier stand up for wilderness, wildlife and protected lands in the province," said Gaile Whelan Enns of Manitoba Wildlands. "This appeal to reverse a poor decision gives him his first opportunity to do so."